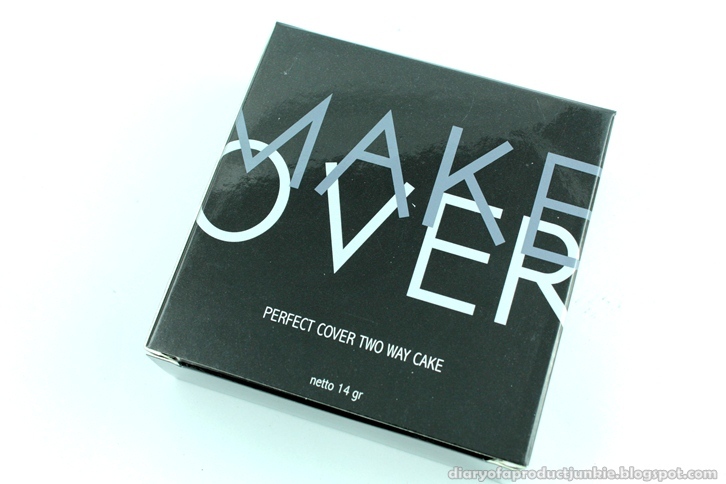 Hello, lovelies~ About a week ago, I bought a few items from a makeup brand called Make Over. I think this is a local brand produced by PT Pusaka Tradisi Ibu over at Tangerang. I haven't read any reviews on this specific product, so I'll be doing one today. The powder is packaged in a common round black case with the words MAKE OVER printed on the surface. On the bottom of the case, there are square holes like those you would find on a twin cake or two way cake packagings. 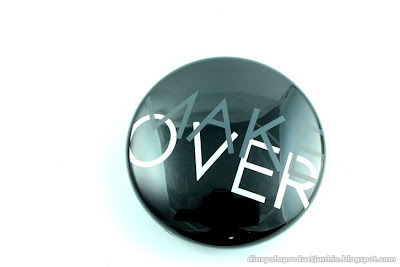 Inside the case, there is a round mirror, sizing about 5 cm in diameter. 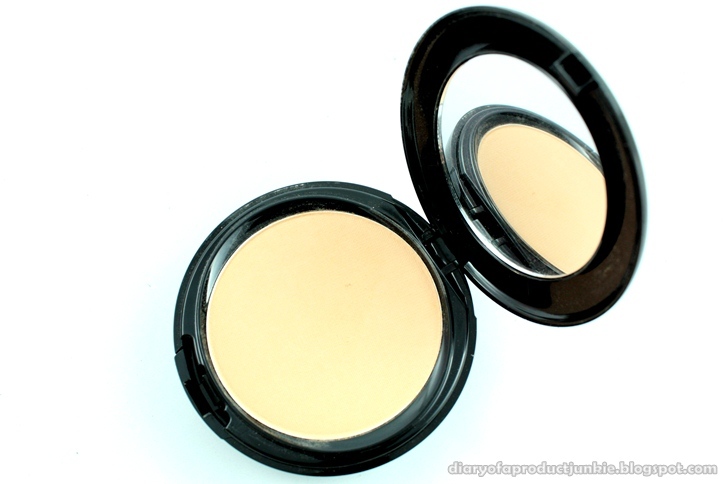 Underneath the product, I can flip it and find a round sponge to apply my powder. The sponge is of good quality because of the smooth surface and soft texture. Although the shade is named Sheer Pink, I don't really notice any pink tones in it. All I see is more of a beige undertone, rather than yellow or pink. I think it comes in either 5 or 6 shades, but I'm not sure, so I'll update you guys on that later. The main ingredients is talc, which may provoke sensitivity for some people who has developed hypersensitivity against it. However, for those without any allergies, feel free to use it. The second ingredient is probably what helps to create that smooth silky finish, dimethiconol stearate. So, again, for those having hypersensitivity towards silicone or its derivatives, it's probably best to skip this powder. The rest of the ingredients are mostly fillers, extracts to help moisturize the skin and Vitamin E, but I doubt that it'll be doing my face any good since Vitamin E will break down or dissipate or vanish when exposed to the sun. For application, I prefer to use a combination of sponge and brush. 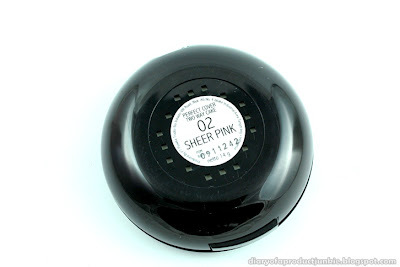 I usually apply the powder in a tapping motion first using the round sponge provided. After I have made sure that the powder is evenly distributed on my face, I use a powder brush (usually the e.l.f complexion brush) to remove or knock off any excess powder that may have been sitting on my face. This will ensure that I get the coverage from the powder, but not cakey in result. 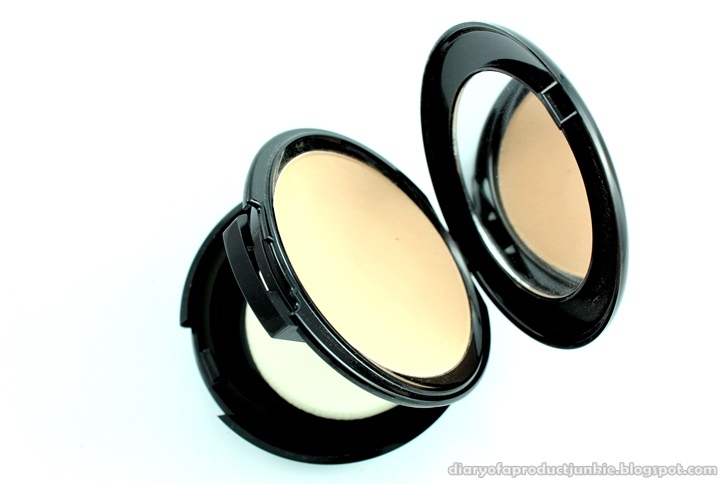 The powder produces medium coverage without looking cakey on my face. I tried layering it until full coverage, but it looks really cakey and thick. It feels light on my face, but I do still feel that I'm wearing makeup. The redness on my cheeks are concealed, so my skin tone looks even. However, it doesn't do much in covering my dark spots. I'm taken aback by its ability to SLIGHTLY minimize the appearance of my pores. 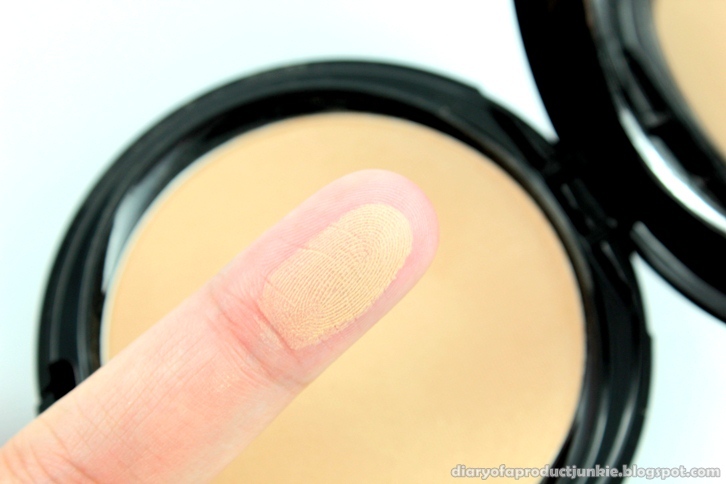 The finish is a more even out skin tone and smoother looking face. Oh, it also has a matte finish. On the left is taken without flash and the right one is taken with flash at work. 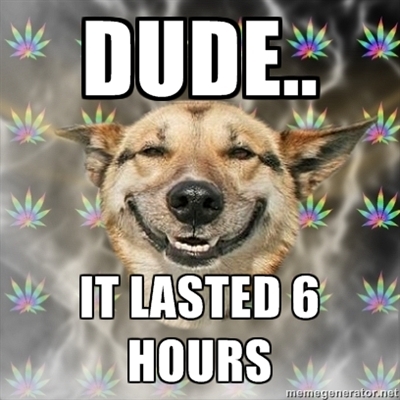 I'm impressed that a powder can last more than 6 hours on my face. 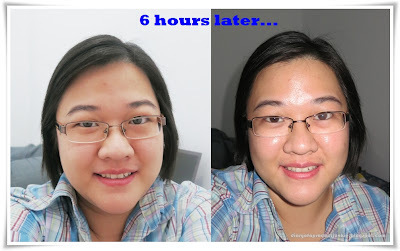 It is still able to even out my skin tone (redness on cheeks are still concealed). My combination face gets a little oily after 6 hours, but it still manages to hide my redness after blotting the oil away. After 6 hours, I noticed that it starts to fade. 11 hours after application and blotted once at the 6th hour. The redness around my mouth and cheeks started to be noticeable and my face is oily again. Overall, I liked using this either as a foundation or for touch ups throughout the day. I like the light feeling when I use it and the matte look it gives, which is great for photos (I prefer matte finishes in my photos). Priced at Rp 139,000, it is a little expensive, but I would definitely repurchase it based on the staying power, absence of sunscreen and the matte finish. So, I leave you with one of the things that stood out to me the most..
make over bukannya satu perusahaan sama wardah ya sis? Yurisa, waw, 1 set isinya apa aja ituh?